Bob DiBiasio is in his 40th season with the Cleveland Indians and his 41st in Major League Baseball in 2019. He started w/the Tribe in 1979 as Assistant PR Director, was named PR Director in 1980; and Vice President of PR in 1988. The Lakewood, OH native was promoted to his current position in 2011. His lone season away from the Tribe was 1987 when he served as PR Chief for the Atlanta Braves. 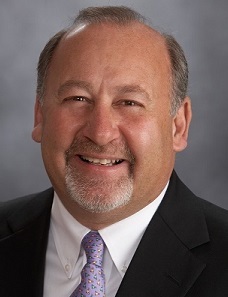 DiBiasio serves as President of Cleveland Indians Charities. He is an honorary member of the Executive Board of the Boys and Girls Clubs of Cleveland—serves on the Athletic Advisory Board of Notre Dame College (OH); is a member of the Board of Directors of the Cuyahoga County Public Library Foundation, the Bob Feller Act of Valor Foundation and the Baseball Heritage Museum at League Park. DiBiasio graduated from Lakewood High School in 1973. He earned degrees in journalism and education from Ohio Wesleyan University in 1977. While at Ohio Wesleyan, Bob was sports editor of the school paper “The Transcript”, the student Sports Information Director, and did color on OWU football and basketball broadcasts. DiBiasio also played one year of basketball and two years of baseball at OWU. In 1978 he earned his Masters Degree in journalism from The Ohio State University and started a stint as Assistant Sports Editor of the Fremont (OH) News Messenger before joining the Indians. Bob and his wife, Penny, reside in Solon, OH; they have two adult children-daughter, Julie (Matt), and son, Patrick (Liz). This entry was posted in past events on December 19, 2018 by suejosecretary. 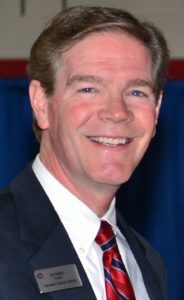 Michael D. Johnson became the 25th President of John Carroll University on June 1, 2018. Dr. Johnson also joined the Boler College of Business as a professor in the Department of Management, Marketing and Supply Chain. A social scientist by training, Dr. Johnson most recently served as the Provost of Babson College where he was also Professor of Marketing. 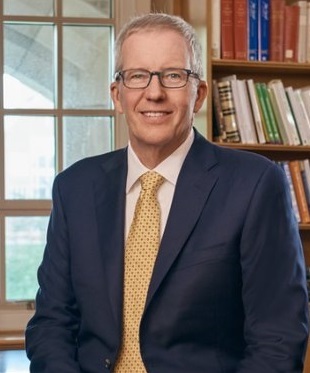 Appointed in 2016, he was the senior academic officer of the College and led all academic affairs, including oversight of the Undergraduate School, the F.W. Olin Graduate School of Business, and the Babson Executive and Enterprise Education division. Prior to becoming Provost at Babson, Dr. Johnson served as Dean, E.M. Statler Professor and Professor of Marketing at Cornell University’s School of Hotel Administration (SHA) for 10 years. As Dean at Cornell he focused on investing in faculty, expanding students’ learning and career opportunities, increasing diversity, building an effective fundraising organization, and growing the school’s global platform. Johnson was previously at the University of Michigan for 24 years, where he was the D. Maynard Phelps Collegiate Professor of Business Administration and Professor of Marketing at the Stephen M. Ross School of Business. As a professor at the University of Michigan, he published more than 100 academic articles and multiple books, and taught undergraduate, graduate, and executive programs. 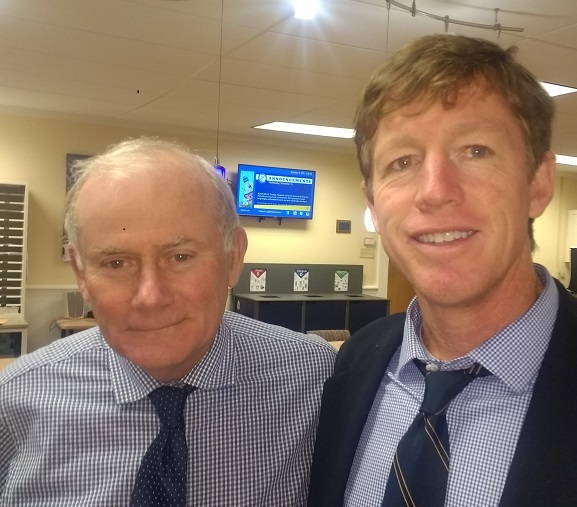 He served as a consultant for a diverse range of companies and public agencies, including Promus Hotels, Northwest Airlines, the National Association of Convenience Stores, Dell Corporation, Schering Pharmaceutical, and Volvo. Born in Bottineau, North Dakota, Johnson grew up in Madison, Wisconsin. He is married to Jill Kobus Johnson, and they have three sons: Alexander, Andrew, and Thomas. DUE TO EXPECTED INCLEMENT WEATHER ON THURSDAY, JANUARY 31, THE FEBRUARY LUNCHEON WITH BROOKE TAYLOR HAS BEEN MOVED TO THURSDAY, FEBRUARY 7. As the host of the popular podcast “Good Things Radio,” Brooke Taylor shares her heart and vision of hope in Jesus Christ with audiences everywhere. 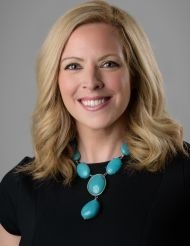 Brooke’s twenty-year media career includes serving as co-host of the “Family Friendly Morning Show” on 95.5 The Fish out of Cleveland, Ohio, where Brooke interviewed notable religious and political figures such as former Speaker of the House Newt Gingrich, Rev. Franklin Graham, Dr. James Dobson, Beth Moore and many more. Brooke is the founder Saint Gabriel Media and the creator of the annual Arise retreat, bringing women together from across the country to find joy in their shared journey of faith. Brooke has also appeared on the EWTN Program “At Home with Jim and Joy” and “Living Right witih Dr. Ray.” Her travels include leading pilgrimages to the Holy Land and Italy and visiting Guatemala and Haiti with Food for the Poor. As a nationally recognized speaker, Brooke loves sharing her heart with audiences on topics close to her heart such as faith, adoption, parenting special needs children, community, joy, and the power of one voice. She is also the author of the books: Choose Joy and Choose Hope: A 52-Week Devotional Journey. Brooke and her husband, Jim, are busy raising their five children: four sons and a daughter they adopted from Poland. For more information visit www.BrookeTaylor.us. REGISTRATION FOR THIS EVENT IS NOW CLOSED. PLEASE CALL THE ADMINISTRATOR WITH ANY QUESTIONS – 216-589-9852. 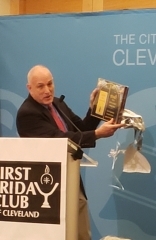 Please contact the First Friday Club Administrator by email – admin@firstfridayclubcleveland.org or phone 216-589-9852 for a corporate/benefactor table. This entry was posted in past events on September 11, 2018 by suejosecretary. Father Thomas Gaunt, S.J. currently serves as the Executive Director of the Center for Applied Research in the Apostolate, a position he has held since January 2011. He is a co-author of Catholic Parishes in the 21st Century (Oxford University Press 2017), the forthcoming Pathways to Religious Life (Oxford University Press 2018), Catholic Bishops in the United States: Church Leadership in the Third Millennium (Oxford University Press 2018), and Word, Liturgy, Charity: The Diaconate in the U.S. Catholic Church, 1968-2018 (Lexington Books 2018). 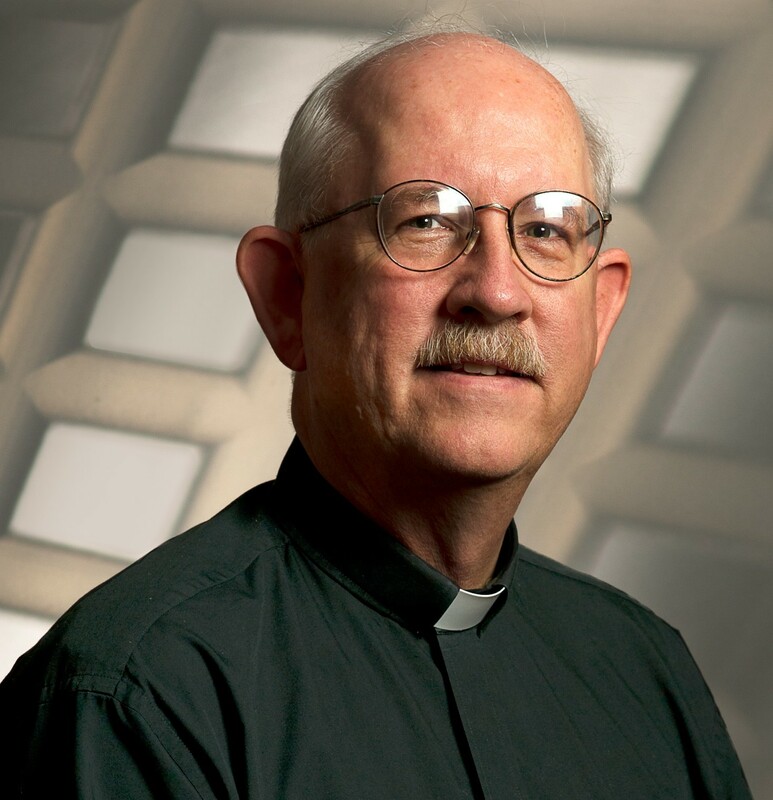 Prior to coming to CARA, Father Gaunt has served in Jesuit governance as the Socius/Executive Secretary of the Jesuit Conference-USA for nine years and the Formation and Studies Director of the Maryland and New York Jesuit Provinces for seven years. 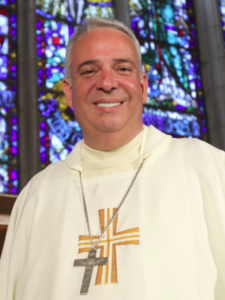 After ordination, he spent ten years as a pastor and as Director of Planning and Research in the Diocese of Charlotte. Father Gaunt entered the Society of Jesus in 1971, after which he earned a BA in Philosophy from St. Louis University in Missouri. 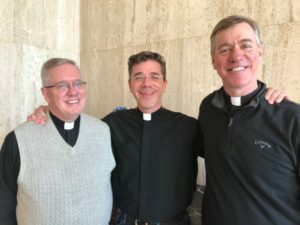 In 1981, the year of Father Gaunt’s ordination, he received an STB from the Bellarmine School of Theology in Chicago and a Masters of Divinity from Loyola University in Chicago. Father Gaunt later went on to complete a Masters in Public Administration and a Ph.D. in City and Regional Planning, both from the University of North Carolina in Chapel Hill. Father Gaunt has been actively involved with the L’Arche Communities in Washington, DC for the past 17 years. This entry was posted in past events on August 24, 2018 by suejosecretary. As a native Clevelander and life-long resident, I am privileged to be leading Cleveland Central Catholic High School. I am in my ninth year as president at Central Catholic on Broadway Avenue in Cleveland’s Slavic Village neighborhood – and loving it! 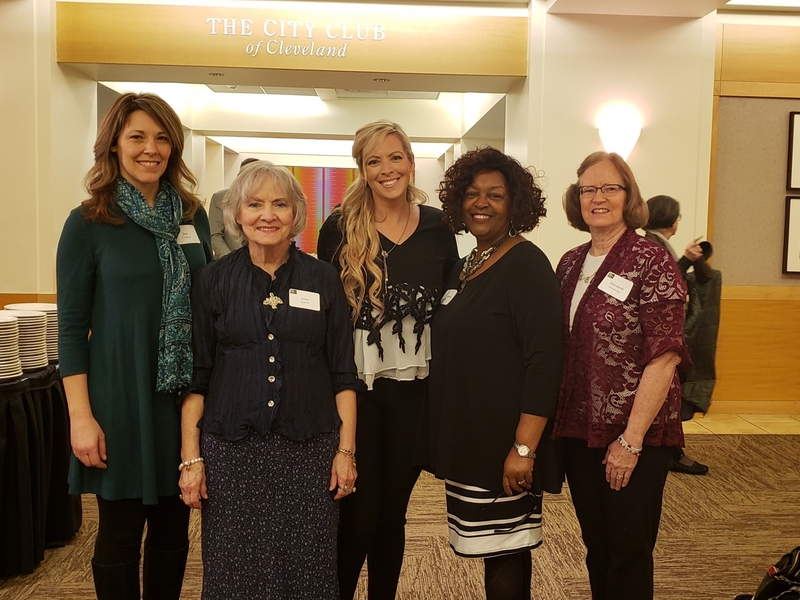 CCC recently successfully completed its Beacon of Hope Campaign by raising nearly $6 million in support of five campaign priorities. Our school also recently concluded a new strategic plan, a comprehensive marketing plan and campus master plan. Born fourth of a dozen children, I learned early the value of Catholic education and how it shapes our lives and impacts our communities. My immediate family (2 parents and 12 children) have an accumulated 188 years of Catholic formal education. In addition, my wife and two sons have a combined 44 years – that’s 232 years total. Needless to say, we believe in the power of Catholic education! I grew up in South Euclid and graduated from St. Gregory the Great (1973) and Cathedral Latin School (1977). The strong faith formation of my family was reinforced through the academic rigor and engaging co-curricular activities that prepared me to become a life-long learner. Both the Sisters of Notre Dame and the Marianists had a profound impact on my youthful spiritual development. I received a Bachelor’s Degree in Organizational Communication from Ohio University, and earned a Master’s Degree in Nonprofit Organizations from Case Western Reserve University. I have been working in private education for over 20 years and am now in my 16th year of Catholic education. 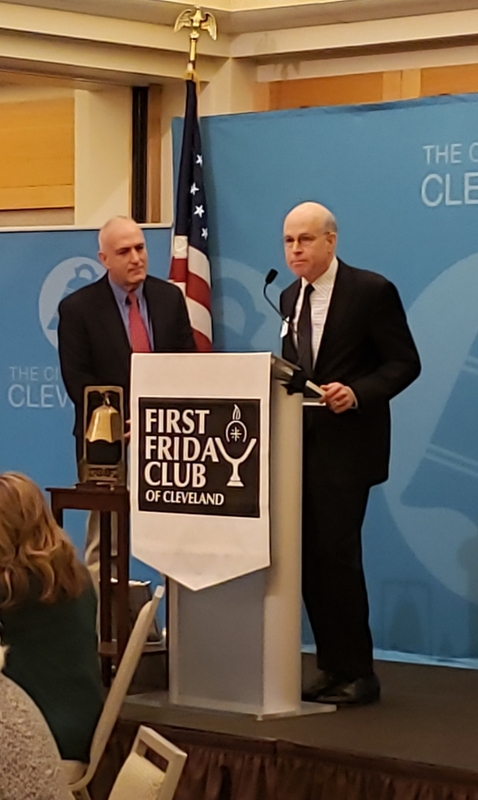 My career in non-profit leadership and management has evolved with experience at the following institutions: Hiram College, YMCA of Greater Cleveland, Case Western Reserve School of Medicine, Notre Dame – Cathedral Latin School, and presently as president of Cleveland Central Catholic High School. I am a proud and active graduate of the Leadership Cleveland Class of 2013, and followed that with a year of service as an LC2 Fellow. Our LC2 group was charged with studying Cleveland’s Lakefront Development challenges and initiatives. 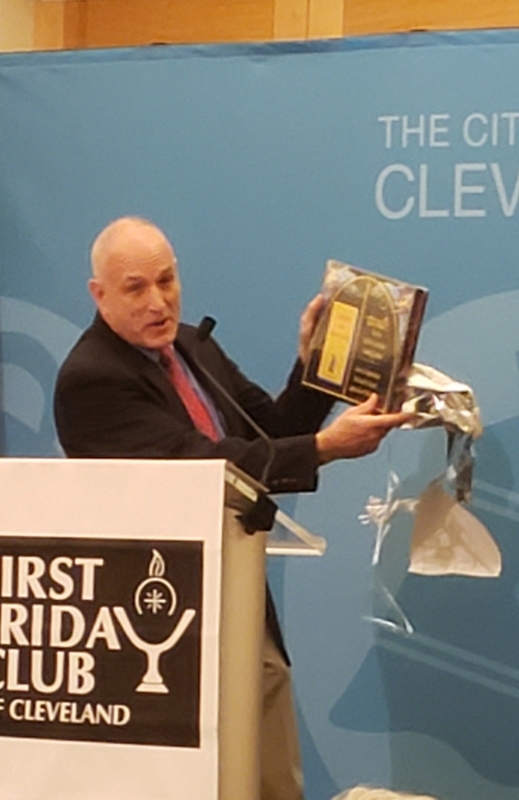 Through this enlightening process, our group made findings and recommendations that ultimately helped foster the “water taxi” service that now operates on the Cuyahoga River. We also weighed in on the proposed pedestrian bridge that would connect Mall A to the Rock and Roll Hall of Fame Plaza area. It was a thrill to study and debate choices about how we live, work and play in relation to Lake Erie (and by extension the local river systems). Through these many experiences, I hope to bring strong leadership and insight into the revitalization of Cleveland’s Slavic Village Neighborhood. Working together with committed neighborhood partners like Third Federal, The Boys and Girls Club, University Settlement, MetroHealth, Slavic Village Development, local churches and our city leaders, I feel strongly that there are great days ahead for our community. My wife (Beth) is a social worker at the Cleveland Clinic and we live in University Heights. We have been “Heights” residents since our marriage in 1985. We are members of Gesu parish since 1996 and have two adult sons who graduated from Gesu and NDCL. We enjoy traveling together. REGISTRATION FOR THIS EVENT IS NOW CLOSED. PLEASE CALL OUR OFFICE 216-589-9852 TO INQUIRE ABOUT TICKET AVAILABILITY. Reservation Policy – All attendees must register in advance. If you reserve and are unable to attend, please call the office (216-589-9852) to cancel by noon 09/3/18 to avoid a charge for the event. This entry was posted in past events on June 27, 2018 by suejosecretary. 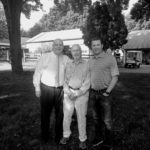 AJ Hyland, Jerry Schroer, and George Wasmer are all respected business people inside and outside their boardrooms with decades of success they attribute to ethical business leadership and the employment of countless individuals rooted in Catholic values. 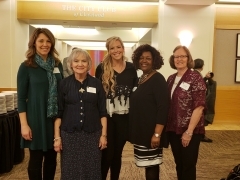 Together they will share their Catholic faith journeys and how it has impacted their lives, the community, their families, and family businesses. 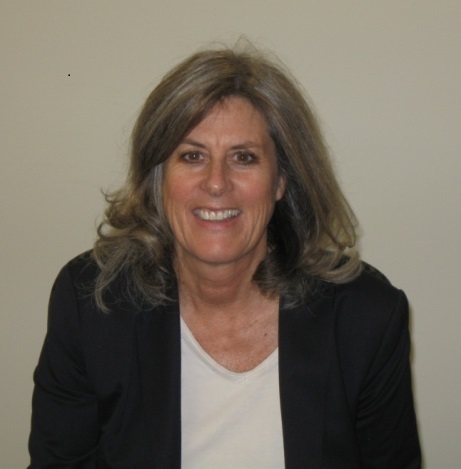 Moderated by Mary Ann Corrigan-Davis, President, Saint Joseph Academy. Reservation Policy – All attendees must register in advance. If you reserve and are unable to attend, please call the office (216-589-9852) to cancel by noon 07/30/18 to avoid a charge for the event.